OpenSourceCMS.com includes hundreds of content management systems, organized in different categories based on their specialization. These open source tools are generic apps that can be used in order to add, manage and delete content on a website. Their market is expected to reach US$12.8 Billion by 2017. 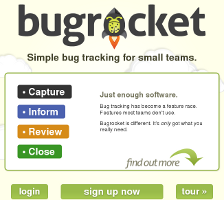 The site has a policy of tracking only open-source apps, guaranteeing in this way that any listed tool can be downloaded, installed and customized on any website free of charge. In addition, each listed CMS app has a demo install that can be used in order to preview its functionality and the features it offers. The project was first launched to the public in 2002. Currently it averages 10’000+ unique visitors each month, according to Compete. 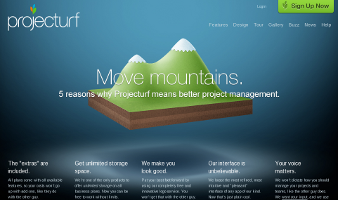 Scott Goodwin, the original founder, is no longer involved nowadays with the project. The site is currently operated by AOE media, a company which focuses primarily on Enterprise CMS and E-Commerce projects. 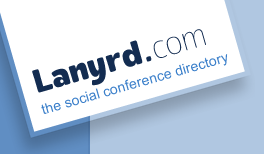 Lanyrd is a conference directory searchable by geographical locations which offers a layer of social and collaborative features to easily share and track conferences online. The service allows users to sign-up using a Twitter account. In addition to searching conferences by location or ordered by date, Lanyrd allows users to follow-up participants or speakers, discover trends or catch up on potential materials they might have missed. The site currently gets 10’000 monthly unique visitors according to Compete.com. The company was founded in August 2010 by Simon Willison, a co-creator of the Django Web Framework, together with his wife, Natalie Downe. The company got accepted in the YCombinator funding program after flying from Cairo (where they were having their honeymoon) to San Francisco for their interview. In September 2011 the company secured $1.4 millions in funding from several angels as well as Index Ventures Seed and PROfounders Capital.